Karen has worked for us since 1987 and is our sales representative for South Florida, Aruba, Barbados, Curacao, Grenada, St. Maarten, Guadeloupe, and Trinidad. She graduated DuPage Horticulture School in 1981 and was a Grower/ Production Manager for large nurseries before going into sales for BMC. She is committed to extraordinary service with placing her customers first. She resides in Palm Beach County, FL with her husband Eddie and their two dogs, Halo and Goldie. Her hobbies include ballroom dancing, as she is a 5 time US National Pro-Am Champion Finalist. She also enjoys creating new ideas for their home garden and trialing the latest plant varieties for vigor and performance. Cheryl Destefano recently moved back to the east coast from California. 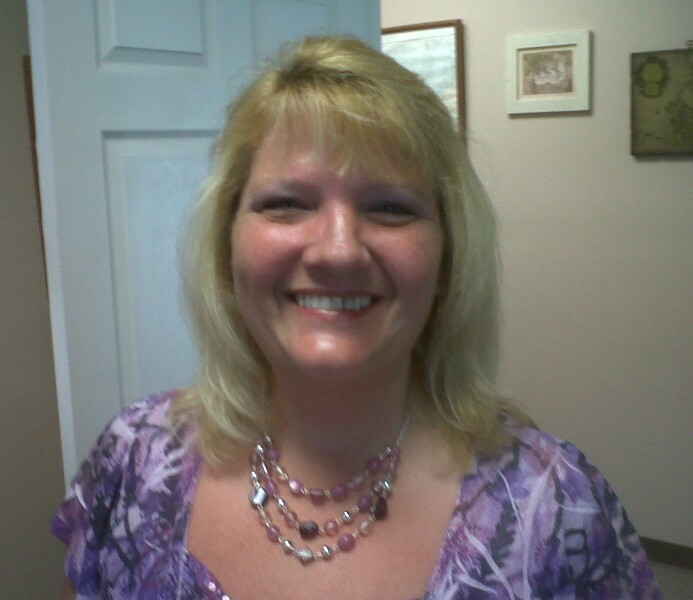 Cheryl is taking over our billing department along with other accounting duties. Cheryl originally came from New Jersey and New York. She has two children and two grandchildren. Cheryl has a wide range of experience having worked in the construction business, mental health industry, and the restaurant business performing accounting and bookkeeping functions. Lucille came to Florida from New Jersey more than 20 years ago and began working with us immediately. With over 40 years of sales service, and fluency in Spanish, Lucille is a primary contact for our international customers. She also works closely with Karen Kiebler and assists with her customers in the Southeast. In addition to her busy schedule here at BMC, she is a diamond leader for Weight Watchers International. She has been married for 36 years and has 2 daughters, 3 grandchildren, plus has a house full of animals. Habla Espanol. Marlene is our inside customer service and sales representative, serving all Florida customers. She joined us in July of 2005, bringing with her more than 10 years of experience serving wholesale nurseries. A Florida native, Marlene enjoys her time off at the beach swimming and collecting shells and drift wood to create recycled art projects. Her hobbies include painting and gardening. She has been married for 17 years and has 1 daughter. She is also the owner of the Dugout Nursery with her husband. A long time Florida resident, Karen comes to us with a wealth of experience in the horticultural industry. She has been a florist, as well as liner, cut flower and potted plant grower. Karen services selected areas of Central to North Florida including the Panhandle. In addition she will be working with customers throughout the southeastern U.S. Her hobbies include bike riding, gardening, shelling and beach days. Karen has 2 children, a daughter living in South Carolina and a son who is currently attending SCF. Judy, originally from upstate New York, is our Vice President and has been with us since 1987. She has been involved in virtually every aspect of our business, including customer service and accounting. Judy has recently begun singing lessons. While just a couple of years past the cut-off age for American Idol, she does have a beautiful voice. Over the past few years Judy has baked cakes, both wedding and groom, for weddings of friends and family members. Bill graduated from the University of Minnesota in 1969 and received a post graduate degree from Thunderbird Graduate School of International Management in Glendale, Arizona in 1970, when he entered the horticulture business. While establishing Florida as a solid market for the company, Bill also devoted time to developing our international market and gaining some fluency in Spanish. An avid bird watcher, he maintains a Purple Martin colony. Also reading, following local and national politics, cooking and travel to visit friends and family are favorite leisure-time activities. Ryan Moore is the newest addition to our company. A real Florida native, Ryan enjoys the Florida lifestyle of being outside and fishing. He's grown up around the company and is now ready to take on the task of getting to truly know it, in and out. Ryan is assisting in daily clerical duties, along with handling our Order Tracing program and pricing. Jillian was born in Virginia, but now resides in Riverview, Florida. She graduated from the University of South Florida with a Bachelors Degree in Public Relations. Jillian is our office manager and in addition, she creates marketing tools for BMC. She also handles many administrative duties. Jillian and her husband enjoy spending time fixing up their first home and enjoying time out on the water.